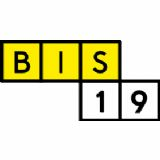 BIS BouwBeurs is offering opportunities to increase your market share. This requires creativity, especially cooperation and trust. Client, architect, developer, contractor and subcontractor to build on this cooperation industry.